We are happy to share some interesting news that will make your traveling experience in Croatia more pleasant, more memorable and more lively. When you see the photo taken during vacation, do you really want it to be just another random picture in your album? Or would you rather have a symbol of a memory really worth remembering? 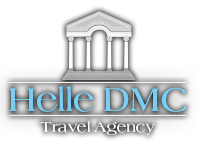 Helle Travel Agency is Destination Management Company top Specialist for Croatia. More than 15 years of experience in creating superb travel programs and managing the details of diverse trips and tours, guarantee you will receive fast and reliable professional service. You can choose among a variety of our incentive programs. Attend special events and themed evenings. Dining at the ancient palace of the Roman emperor Diocletian sounds too good to be true? We can make it happen. Incentive means reward for excellence – show your co-workers, customers or friends how much you appreciate their engagement by taking them to a unique team-building event in Croatia. Well then, if you're searching for a getaway from the hustle of everyday life, turn to us with confidence. Send us your inquiry and we will organize an itinerary, specially tailored to fit your needs and preferences. Let us help you experience Croatia with style!